Today we are starting a new series – travelers advice for travelers. This first post will cover advice and tricks to come around in Switzerland, the country of chocolate, cheese, mountains, clocks, and, of course, Heidi. 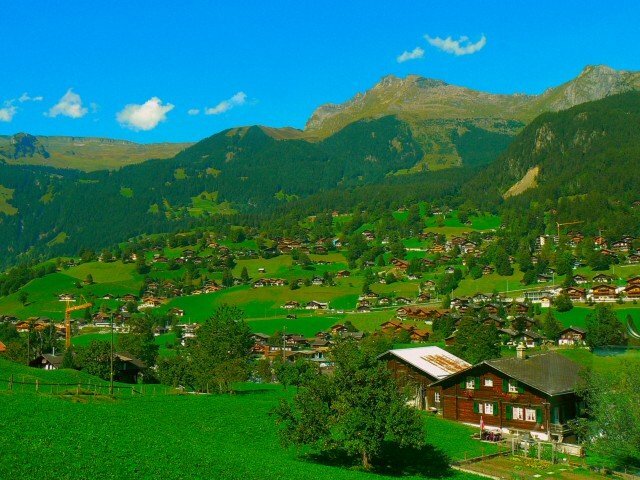 The first thing anyone who wants to come to Switzerland has to be aware of is that Switzerland currently is the most expensive country in the world. Therefore, planning with a rather large budget is highly advised. I will try to give you tricks to survive on a smaller budget. 1) Travel during summer. I know Switzerland is famous for it’s snowy mountains and fairytale-like landscapes, but if you are not intending to do winter sports, then traveling during the summer period is a great way on saving money, as you can enjoy a couple of free activities such as swimming in the closest lake (my favorite lake in Switzerland is Lake Gauma in Graubuenden), hiking in the mountains, wandering through the forests, going on a treasure hunt or having a barbeque outside. Furthermore, Swiss restaurants are way too expensive(even for Swiss! ), so by traveling during summer, you can enjoy a great variety of delicious Swiss fruits, which are quite cheap compared to Japan. Swiss apples, Grapes, Apricots, Cherries and plums are very famous and delicious, so be sure to try it. 2) Buy your food in the big supermarkets rather than in restaurants. The biggest supermarkets are called Coop and Migros and they offer everything from low-budget food (which has still a really good quality) to the gourmet line, so it is a great chance to try a variety of typical Swiss food. 3)Places to go: Switzerland has a lot of little cute villages and towns, so I highly advise you to inform yourself beforehand on what seems to appeal the most to you. My favorite towns are Lucerne, Zuerich, the Graubuenden – area as well as Basel and Bern, but there are many more to explore. If you want to travel around inside Switzerland, I recommend to get yourself a Swiss-pass because it is definitely going to pay off as Swiss trains are really expensive. There are a lot of amazing places to visit, such as an underground lake in Vallais (you can rent a boat and watch the fishes under you), an ice sculpture exhibition inside of a glacier and a hiking way full of friendly (and sometimes very cheeky) squirrels who will come to you and say hello during your trip through the forest. 1) Swiss chocolate: A must try and an ideal souvenier from Switzerland. If you are willing to spend a little more money, I recommend you to go to Spruengli, that is a Chocolatier chain based in Zuerich, and buy the “Truffes du jour”, daily fresh made pralines, which are heavenly. Don’t go and buy your chocolate in tourist shops, the prices will be twice as high as usual. The best chocolate makers include Lindt, Ovomaltine, Frey and Toblerone. 2) Swiss sausages: There is a really famous barbeque – restaurant in Switzerland called “Sternengrill”. You definitely should try a “Cervelat” or a “Sankt-Galler Bratwurst” if you are into sausages, especially since they offer the best bread in town and housemade mustard free with it. 4) Coffee and tea: Don’t go to Starbucks, try to find small, individual coffee shops and tea saloons, those will mostly have local specialities and a special atmosphere. In Zuerich, I recommend “Herzbaracke”, a Restaurant, Cafe and Theater on a ship. The owner built it himself and put a lot of love inside – you will feel like in a different world. Another of my favourite Cafes is called “Peclard” in Zuerichs down town, “Niederdoerfli”. With their special interior atmosphere, you will feel like a King or Queen and they have the best Cakes and Sweets. Some general advice: A lot of tourists, especially Japanese, want to climb the Swiss mountains. If you don’t want to get laughed at, I beg you, please bring good shoes with you ( you often see tourists going up the mountains with sandals, flip flops or even high heels ). They do not have to be mountaineers climbing shoes, but at least wear gym shoes with good foothold.